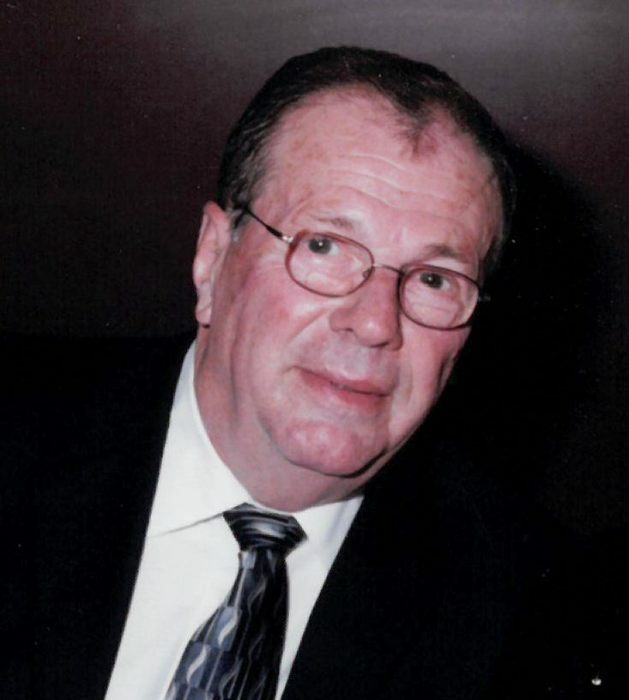 Gerald A. Stein, age 83, of Little Chute, passed away on Thursday January 24, 2019. Jerry was born in Combined Locks, WI on October 8, 1935 to the late Joseph and Agnes (Eisch) Stein. He married Adele Schmidt (Pennings) on December 1, 1956 at St. John Nepomucene Catholic church in Little Chute, WI. They celebrated 62 years of marriage together. Jerry was employed at Thilmany Pulp & Paper for 43 years, retiring in 1997. Jerry served in the army with an extended time during the Berlin crises and was a member of the Thomas E Kees American Legion of Sherwood, WI, post #496. Jerry enjoyed travelling with his wife all over the U.S. and spent considerable time at their lake cottage. The lake and woods were a place of peace for Jerry, they were both happiest when spending time there with family and friends at the cottage. Jerry loved hunting with his son and friends and lived for a cubby of grouse, later in life he spent countless hours watching for deer and soaking up nature in his “condo” (hunting stand). He loved to fish, especially with the grandkids to see who got the biggest fish. Jerry was a great father and friend, always giving of himself. Jerry is survived by his wife Adele who always had red roses on her birthday from him, his son Dan (Jean) and grandchildren, Christopher, Hannah and Collin Stein; his sister Carmen (Terry) Siewert; niece, DeAnna Siewert, and nephew Scott (Carrie) Siewert and their children Josh and Allie; sister-in-law Sheron Stein. He was preceded in death by his parents: Joe and Agnes (Eisch) Stein; in-laws Julius and Evelyn Schmidt; and his brothers: Don and Danny Stein. Currently he is playing cards, fishing & hunting with the many friends and family that preceded him. A celebration of Jerry’s life will be held at 5:00 p.m. on Thursday, January 31, 2019, at St. John Nepomucene Catholic Church, 323 S. Pine Street, Little Chute. Visitation will be held at the church on Thursday from 3:00 p.m. until the time of the Mass. A dinner will follow at church. For online condolences, please visit www.verkuilenfh.com. Special thanks to Dr. Paul Russo and staff at the Kaukauna Clinic, Dr. Susan Hibbs and the staff at Aspire Senior Living.